For our Narrative & Healing framework, Rhiza integrates processes of storytelling, arts, and healing with methods of psychosocial support, to strengthen local systems of care and mobilize collective capacities for resilience and recovery. Although the international refugee crisis has mostly faded from the media, the reality on the ground for millions of refugees worldwide remains a crisis. In Greece, the refugee camps and communities are floundering in the face of diminishing resources as the number of refugee arrivals has surged, with people desperately seeking to make the trip before winter falls. Nearly 7000 refugees are crowded into camps in Lesvos that are meant to house 2500. Once viewed as a temporary entry point for refugees, Greece has now become a years-long stop on an indefinite journey. Our project Heal into Action builds on the previous work we have done in Greece. The integrated training we have developed creates a foundation of healing for refugee communities, as well as the frontline staff supporting them, to collectively process their experience and manage trauma, create narratives of their experience through storytelling and theatre, and develop advocacy skills to insert their stories and perspectives into policy discussions. 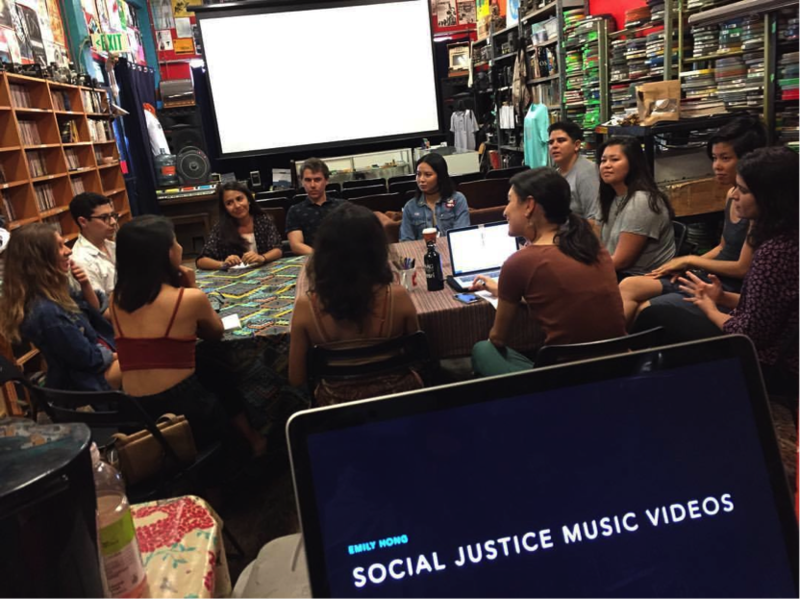 For our Sustainable Leadership framework, Rhiza works with organizations to develop leadership development programs rooted in individual and collective transformation, recognizing that dismantling oppression requires not only organizing to shift external power structures, but also building power from the inside out. 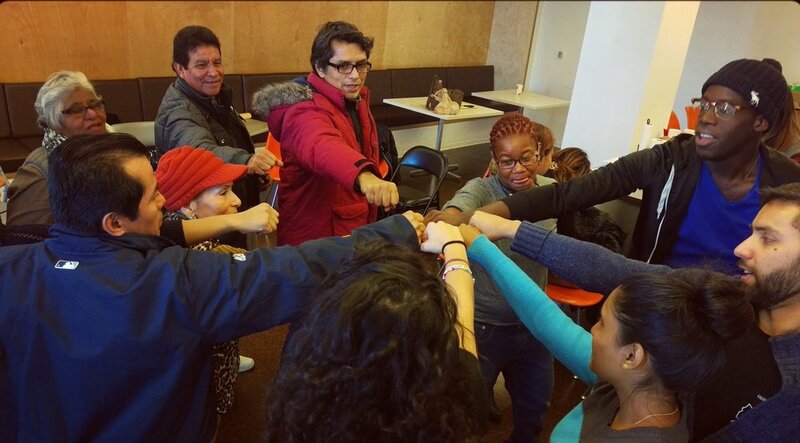 We tailor programs that build and sustain grassroots leadership using resilience and healing frameworks, political education, and skill-building. Rhiza has an ongoing partnership with the New York Worker Center Federation (WCF), an alliance of organizations whose members embody diversity across race, gender, age, language, nationality, and religion, and work as day laborers, street vendors, restaurant and food service workers, retail workers, domestic workers, and warehouse workers. 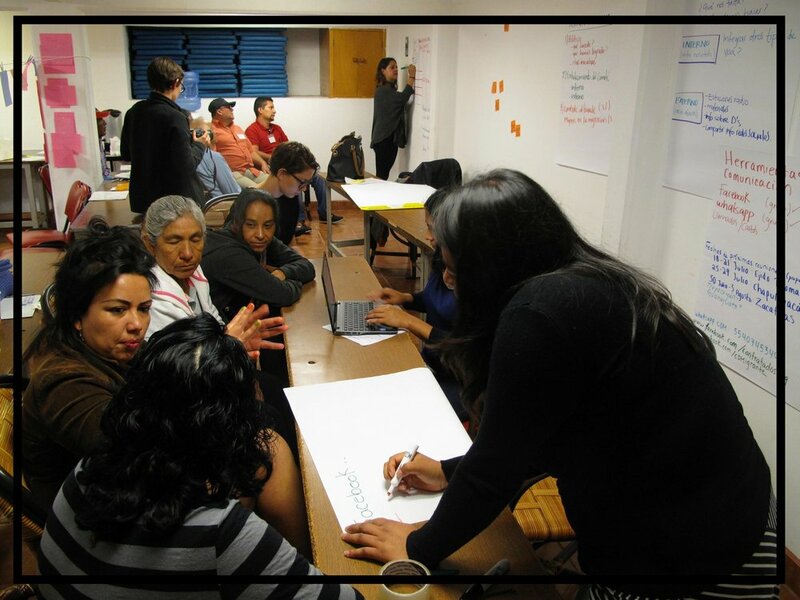 Rhiza developed a two-day series of workshops for the Migrant Defense Committee of Centro de los Derechos del Migrante, an organization that “empowers Mexico-based migrant workers to defend and protect their rights as they move between their home communities in Mexico and their workplaces in the United States” through training, leadership development, litigation, and policy advocacy. The Committee is made up of community-based leaders in Mexico who are migrants and ex-migrants organizing and educating their fellow migrants to defend workers’ rights.